Sebastian is a designer working in the intersection of digital technology, communication and space. 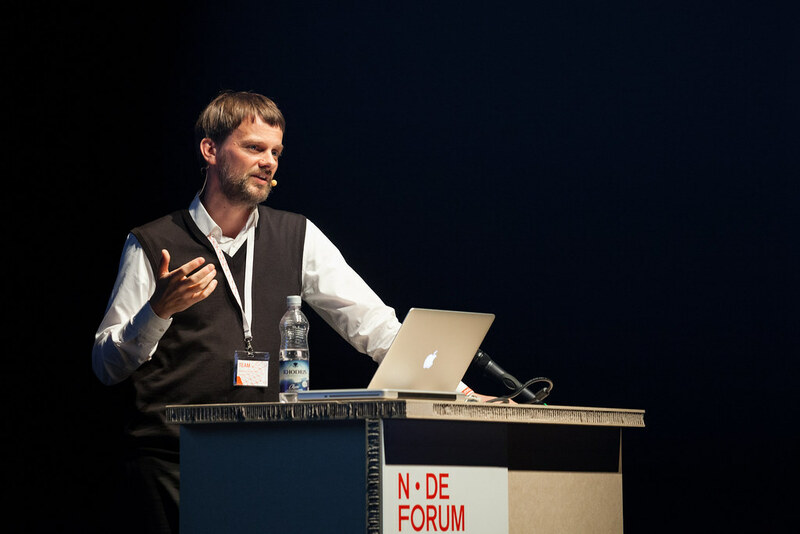 He sparked the development of the software toolkit vvvv and designed and programmed many of its basic concepts. In 1998 he co-founded the design studio MESO Digital Interiors GmbH. He is responsible for the strategic conceptual, creative and technical planning of exhibits and digital spaces for industry clients such as BMW or KUKA, as well as cultural institutions. His passions are transforming borders and enabling innovation by deeply exploring technical foundations and questioning the framing of the problem. Until 1994 was part of the music project Oval, which pioneered experimental glitch aesthetic with an accessible pop sensibility. He studied computer science, and has worked as artist. He occasionally teaches history of technology and interaction design at various universities.